There are speakers and there are entertainers but there is only one Craig Karges! You’ve seen Craig Karges on The Tonight Show as well as CNN, Fox News Channel, E! Entertainment Television and CNBC. The extraordinist has also starred in two, one-hour television specials and is the author of Ignite Your Intuition, The Wizard’s Legacy and Extraordinary Tales. Two Great Programs... One Extraordinary Presenter! 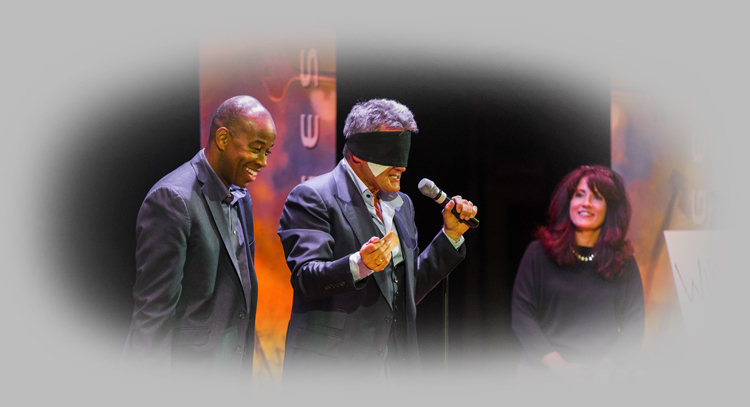 "We recently had Craig Karges perform at a business seminar where most of the attendees were top-level executives who get to attend many such functions. 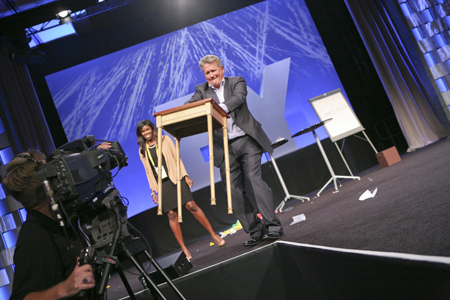 When it comes to seeing speakers, business gurus and entertainers our audience has 'been there done that!' At least that was the case until they saw Craig Karges. To put it simply, Craig astounded, delighted and entertained our group with his unique performance. I would highly recommend Craig Karges to the event planner that is looking to find someone who is truly different... Craig engages the audience and enthralls them. The real magic involved is how good you will look for bringing Craig to your group."